Welcome to TonicWith. We’re naturally curious and love to chat with exciting, interesting and thought provoking people. We thought we should share some of those conversations with you. I’m a passionate talent management professional, taking pride in managing people. The development of myself and others professionally and personally is one of the most important drivers of my life and career. I really thrive on working with a good, diverse mix of people. Welcome back to TonicWith, this week we sit down with Marina from Airproducts. Marina manages the European wide future talent programmes for Airproducts and has a wide ranging background having worked in the future talent space also for employers such as Tesco and DHL. We’re really excited to speak to Marina who seriously knows her stuff when it comes to all entry level talent. So let’s jump right in. 1.27 Welcome, Marina! Do you want to tell us a little bit about yourself and about Airproducts? “Thanks very much. Hello everyone, I currently work as the European Graduate Programme Manager for Airproducts – not a household name, but we are leading in industrial gases. My remit is grads, but also anything entry level too, so apprentices, school leavers, work experience and MBA and PhD level too. 2.50 OK great, thank you. So when we were talking before you mentioned engineering as being one of those skills you’re very interested in brining into the business. You’ve chosen perhaps one of the toughest and most competitive recruitment environments there…that must throw up a few challenges? We’ll come back to that in a little while as we’re interested in finding out your view on how talent attraction works across different markets and what the UK and the rest of Europe can learn from each other. 3.50 But, as you all know with this TonicWith series, we’re keen to get to know the person behind the professional and find out what makes them tick. So could you tell us about you and your background, Marina? “Sure, OK. I’ve been in the working world for about 7 years, graduating from UCL with Journalism and Languages. I then moved to my first perm grad role which was…supply chain management, absolutely nothing to do with my degree whatsoever! I moved round that business quite a bit and ended up in HR, as the majority of people do in talent management, looking after graduate recruitment. “Outside of work, we’ve recently purchased a house and we’re doing quite a big renovation on it. It’s taken roughly 2 years already, I don’t think we really understood how much work needed to be done on it to be fair. So you could also say I’m a little financially constrained at this point hah! Well, welcome to the world of home ownership Marina. So we gather this is more than a lick of paint you’ve given the place then? That must be quite handy though? 5.40 So you did a journalism degree, then supply chain. Sounds like HR was an accident for you. Is that right? “Yes, absolutely. I mean although I love working with people, I never thought I’d end up in HR. I think there’s a bit of taboo around working in HR, most that do don’t actually like people! But yes, it was a project I was put on, and once I started getting my teeth into it I realised, wow, I like this. This is what I’m actually good at and this is where I can actually make a difference. So that spurred me on. 6.30 So what was that ah-ha moment that made you realise that this was the career for you? “It was around the career progression that I was tangibly seeing from the entry level, and actually the mentoring bit that I really enjoyed. Maybe it’s not so much HR, but maybe succession planning, but seeing people progress is what does it for me. Great stuff, very rewarding. So, and this is tenuous here, but it sounds like the work you’re doing on your house, and what you thrive on as a profession has a little thread that connects there. Is that fair to say? 7.50 And what was the thing that drew you to Airproducts more than any other business? So what countries do you cover? 8.50 Wow, so very different markets. From our experience it’s different not just in terms of development of the market but the attitude of the people in terms of mobility and ambition. What’s your experience like? And does that play into a one size fits all strategy for you and Airproducts, or do you approach each market individually? 12.25 Great. So we understand that different things drive different audiences and motivate people in different ways. Is there anything you think the UK can learn from the wider markets? 15.55 So interesting differences between markets then. I think people might like to hear about a little earlier in your career – is there something that stands out for you that you wish you could change? 16.55 OK great. So let’s put a positive spin on that. What’s your proudest achievement? 17.50 Do you think that’s because of the way that people think about apprentices today compared to 6 or 7 years ago? 18:30 OK great insight there. So at what age do you begin your outreach? 19. 25So how do you communicate with people at that age? 20.25 We’d love to get your perspective on the world looking forward, Marina. In the next 5 years, what do you think the biggest challenge will be for employers? “I think that technology is a big player. Social, not in the way that there will be hundreds of candidates being driven into the business though social, but more in terms of expectations of the younger generations, Y and Z, that are coming into the working world. They expect things much quicker, so we as employers need to react, in terms of volume recruitment and queries etc. So unless employers put the right technology in place, then it’s going to be difficult for us to mange this effectively and build any kind of real engagement. I also think video interviewing will be the way forward. We’re testing it out this year after a pilot, so hopefully we’ll see that being utilised a lot more. Yeah, we couldn’t agree more. There’s a really interesting book written by Steve Frost, who’s the guy behind the diversity policy for Locog the Olympics body, who said that diversity is just there, but inclusion is the choice that we all make. That’s a powerful motivator because you have a choice to make people feel part of what your doing or not, diversity is just an ever present reality these days. 23.25 Yeah, and for us the effort is in the video interviewing. We’re clearly doing this, so it doesn’t seem that odd to us to chat online through video, but there seem to be many people who are so hesitant about adopting video interviewing. What did you learn from your trials that persuaded you it was the way to go? “Well apart from the cost saving elements of course, but we’ve got feedback from candidates that it was really innovative and really different. So the interviewing I’m talking about isn’t actually live, it’s pre-recorded. So you can really use it in so many ways. You can pre-record you asking questions through to welcoming and using it as an onboarding tool. For us it was pretty clear this is the way forward. We don’t need to wait for loads of companies to try and fail before we jump in. We just went for it. Well, you’re getting benefits from that now in terms of the way your making candidates feel about you. Whether that’s intended or not, you now able to set some space between yourself and the completion, which is a great outcome regardless. 25.30 So bringing the conversation to a close, what do you think the most immediate areas are in need of change across the majority of employers? 26.40 So moving away from a transactional role to more of a business advisory role. Is there anyone (apart form Airproducts) who you think is doing this really well at the moment? We don’t know much about DHL but completely agree with the Sky comment. Their central value proposition is Believe In Better – and it works really well across the entire business, from people to consumer and corporate brand. We don’t know whether it’s that or whether there’s something else driving that process? 29.30 So as our time draws to a close, we’d like to ask about your personal goals for the next 12 months. What does good look like for you, Marina? “Professionally I do want to increase our employer reputation in the Continent. We’ve been doing that well in the UK over the last few years, but being an unknown business it will be a challenges over the next 12-24 months. Also making the business realise that there are other arena’s out there and broadening the entry level arena. 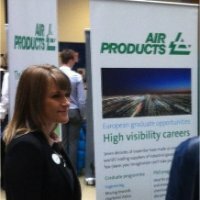 It’s not just about graduate recruitment, so within Airproducts that’s my personal challenge. Well Marina, thanks for the insight and time you’ve spent with us it’s been really fascinating learning more about you and the business but also your perspective on the differences in the wider European markets and the way the industry looks at the moment. 31.10 Do you have any parting words of wisdom for anyone watching out there? “Yeah, I guess for my fellow graduate recruiters out there, this is quite a busy season, embrace it, enjoy it, and never forget those people you speak to face-to-face on campus will actually meet you at the final stages. It’s the fun part of the job, so make the most of it! Pleasure, Marina. See you next week folks. I am an experienced and knowledgeable Resourcing leader who having been the Recruitment Lifecycle as a candidate, as a hiring manager, working for an agency, as a recruiter in HR and as a strategic leader, has a wealth of experience to offer HR colleagues, internal customers and candidates. I am customer and delivery focused and as such well positioned to manage and collaborate with both internal and external business partners. I am known for effectively combining my commercial experience with my Recruitment/Resourcing knowledge to add understanding to the needs of the business to help it attract more of the best talent. Welcome back to TonicWith. We hope you’ve been enjoying the series so far? We’ve spoken to some really interesting and experienced professionals from within the industry, and we hope you’ve gained some valuable insights. We’ve spoken with heads of talent, graduate recruiters, digital and mobile specialists, international employer brand experts and media professionals all of whom we’re very grateful for sharing their perspectives with us. You may recall our second episode was with Emma Mirrington, co-founder of The FIRM (the forum for in-house recruitment managers). Well this week we talk with Gary Franklin, who is Emma’s partner and also the other co-founder of The FIRM and also the current Head of Resourcing at The Co-Operative Group. Welcome to TonicWith, Gary. Do you want to give us an overview of who you are and what The FIRM is? “Thanks Tom, great to be here. Well, I guess I’m a recruiter and one of those people who enjoy recruiting. I think of it as one of the best jobs a person can possibly have, and I see it as a destination career, as opposed to a transitory career. But, like most people I came to it by accident. 2:20 So we were going to ask if it was an accident or a design thing, but clearly it was an accident. So what was it that made you fall in love with recruiting? “The accident was me providing some sales consultancy to an organisation, and that organisation asked me to help them staff up their sales force. So, being the entrepreneur type, I did it myself and added a fee to make some more money. “Then I moved in house to work at Symantec in 2006, and it just blew my mind how intense the industry was. We were given real ownership of the recruitment process, we were the decision makers, and the people we hired made a real impact on the business. From that moment, it completely changed my perspective of recruitment and my entire relationship with the job. 4:00 And what about the person behind the professional, can you give us a little insight into what motivates and drives you, Gary? “Sure. My life has changed significantly in the last few years. There have also been different versions of Gary – Mark 1, Mark 2 and Mark 3 if you will. Yes, we remember for TonicWith #2 that Emma referenced professional running, drawing parallels between the determination to succeed and win as being a key to success in recruitment too. Wow – so extreme fishing with Gary Franklin, as opposed to Robson Green! The most I’ve ever done is catch Barracuda in Cuba, but that’s the most romantic I can get. I was in an Ernest Hemmingway mode. 6:20 So, referencing our conversation with Emma, she strongly believed resilience was a key skill for any good recruiter. Are you in agreement? 14:35 In your career, you’ve worked for a number of large employers with big volume recruitment needs. What advice or guidance would you give to someone who’s looking to move away from the reactive model, to the more proactive model? And presumably the best way to get Exec buy-in is the numbers on the bottom line? “Yes, exactly. MI. That’s all I want to talk about on that topic, ha-ha! “It’s a frustration of most resourcing teams. It’s so useful and so powerful and if we can just get that right. Usually it comes from the ATS, but some companies don’t set that up right so they don’t ever get that information. “Accurate MI is a good useful resource for the entire business. It’s about truth. If you have pockets of data from all over the business coming in to senior levels, it becomes a challenge to know what data is truthful. If you can create a platform that delivers truth to senior leaders, then you become trustworthy. It’s crucial. Great point, Gary. One of the things that always surprises us is these businesses of massive scale that seem to manage such an important function like recruiting, on the back of a spread sheet, as opposed to use the tools available to them. 18:35 So, looking at the current breadth of tech that’s available, it doesn’t quite feel like it’s fit for purpose. What do you think with regards to that? “I’m not sure I agree that it isn’t fit for purpose. I’ve worked for many organisations that have asked me to come in and look at the tools and tech in place. Most of the time it boils down to the fact they’re not getting the right service or quality of performance from their suppliers, products or processes they have in place. 23:25 You mentioned earlier you’re more satisfied with the way you live now, compared to historically. What are some of those specific changes you’ve made in your life? “Two changes really, mental and physical. Physical is as a result of being ill and has manifested itself as weight loss, and then I became fitter and more active as a result. Then of course, your mind feels better and confidence grows. Great to see you taking positives from a very traumatic experience, and some great advice for us all there we think. 26:50 So what are you most proud of in your career Gary, if it’s not getting through that difficult part of your life? “I think The FIRM is actually my proudest moment. I started that as just one idea without any ambition at all. I just had one question I wanted to ask a few people. That’s all. It’s the perfect scenario and we know that The FIRM is always looking forward and we also think that a lot of membership organisations can learn from the way you approach things. On a side note, if you’ve never been you should strongly consider attending. You can find out more information here. 31:00 What are your insights into the challenges that face recruitment and talent professionals within the next 5 years, Gary? I know The FIRM conducts surveys of its members, so is there anything you can give our viewers out there? “It’s a real mixed bag. We ask those questions on each of our 4 conferences every year. The first two years of the last 4 years, there was commonality. The big three were brand, social and direct sourcing. Last week at our Manchester conference, there was a real mix. Still consistencies, brand and social, but interestingly direct sourcing wasn’t mentioned once. I think people are now looking at blended solutions – they need the capability to direct source and be in control, but people now realise that its OK to have the experience and expertise sitting outside the team if it means they’ll get the job done. 36:20 So who’s doing it well in your eyes, Gary? “Trying not to be vanilla here, I actually think that there are different people doing different things very well. Look at someone like GSK – every single function could be a single company in terms of their size. They’ll never get anything perfect, no one does, but you have to admire them. Great insight, Gary. If you get the right people doing the right job, it’s great fun. 39:50 Where do your priorities lie in 12 months, and what final bit of inspiration do you have for our viewers? “Yes, FIRM awards on the 4th December, that’s keeping us busy. I’ve just got an interim assignment too, so that’s enough for me right now. “2015? Well, The FIRM is going to grow. We have plans in place that will see significant change in the way we communicate with members, and enhance their lives. Can’t say much more at this stage! Welcome back to TonicWith. We’re joined by Wesley Hendriks from LinkedIn this week. We have an interesting chat around the differences in the talent landscape between Holland and the UK as well as how bringing personality to the workplace can help you be successful. This session is full of useful advice and inspiration so we hope you enjoy it, we certainly did. 1:57 With Wes being one of the most international talent acquisition experts we’ve spoken to, we dove right in without hesitation! One of the first questions we asked was his opinion of the difference between Holland and the UK in terms of the recruitment landscape. We completely agree too – there’s a misheld belief that the UK has an advantage over a large proportion of Europe – and that’s largely false. Although there are certain distinctions and differences between the two, the gap if there ever was one, is closing far more rapidly than people give credit for, particularly at the cutting edge. 2:48 Moving on we asked Wes to explain a little bit about how he ended up working at LinkedIn. He’s had quite an interesting career path – so how did he end up where he is? Certainly an achievement to be proud of if you ask us! 4:50 So what motivates and drives Wes to be successful as a professional? “Well, I’m very ambitious and I’ve always loved a challenge. Next to that I’ve always loved to build relationships with people and to try to make them more successful as individuals. And that’s something that I’ve always been trying to achieve – by building those relationships it’s got me further every time. 6:00 And from a personal perspective, we all have things that feed through into our professional lives that perhaps help to inspire or aid us in some way. Does what you’ve just described apply to both personal as well as the professional? Well, what we’re really driving at here is some footage of Wes on YouTube that shows him getting between two of the big fighters and breaking up a fight. So we were wondering if there are any parallels between what Wes gets up to in his spare time, and his work life! 8:38 We imagine that those sorts of environments can be quite stressful, ensuring these big aggressive fighters stick to the rules? Some great insight we can all learn from here. It’s a reminder that yes, we all need to be professional, but don’t take things too seriously. Try to see the lighter side of things. When the bar opens…we’re all people at the end of the day. “Yeah exactly, and to come back to that, being open to sharing that kind of info has helped me with many conversations I’ve had. Whether its with candidates or with interviewers. For example, my interview at LinkedIn, I was talking about my passion for martial arts suddenly the interviewer opened up as they too were very interested in martial arts. In fact I think half the interview was spent talking bout martial arts! What a great bit of advice that we can all learn from. People come to work and want to be inspired by those around them. They don’t want to work with robots. 11:40 Many of the people that we’ve spoken to for TonicWith, or that we meet in the industry, never intentionally seem to set out to end up in the world of talent. But there’s a moment when everyone who ends up here eventually has an “Ah-Ha” moment and realises that it’s an industry where you can really help people with their huge life decisions. What was your “Ah-Ha” moment, Wes? Great answer and something we should all have the opportunity to do ourselves. 15:00 If you look back over your career, what would you have done differently? To add to that, we believe that the relationship between employers and their partners has changed to. The traditional direct sourcing team will have those various partners in places to manage brand, buy ads, telephone screen etc – the change in the recruitment environment has had a huge impact on those relationships too. Not just between employer and talent. Interesting stuff! We recently conducted an Employer Branding maturity matrix project with one of our clients. It would be interesting to see how those two things correspond. Looking at the behaviours of employers and whether that represents a mature environment and what you’d need to achieve to move towards that goal. We bet there would be some similarities. Great idea. Watch this space peeps, we’ll let you know when that’s out. 19:45 What are you most proud about in your career then, Wes? That’s where all the great employers succeed. Getting their own employees to become their advocates. Great insight. We’ll try to share some of the social feeds from this business with you. 22:35 So, Talent Connect is a famous industry event. Not being too subtle about asking for an invitation *wink wink nudge nudge* we understand the content is great, the parties are great and the conversation is great. Tell us a bit about it because for those who have never been or heard of it, it covers some of the current issues facing talent acquisition specialists at an industry and would be mighty useful for most talent and recruitment specialists to attend. 27:00 So over the next 4 or 5 years, what are the biggest challenges facing HR and recruitment in your opinion, Wes? How do you see the market changing? There’ so much content out there, it’s impossible to absorb all that information. Those who market best, segment in the right way and make the delivery of information personal and timely. We’ve heard that there’s this tool out there called LinkedIn that can help make that happen? 29:25 So who’s out there doing things well, in your opinion? So what they’re doing is effective CRM and applying that into the recruitment space. They’re absolutely segmenting and targeting their audiences with specific personal messages in a very timely way. Great stuff! Wowza! So rather than having one message and sending it out in the hope it works, they’re really being able to understand what people are interested in and segmenting your marketing effort in a way that’s really effective, and how that message can be applied to different groups of different people. This sounds very much like the start of that process and the way that all recruitment teams should be trying to operate. 33:45 So in 12 months time, given you’re a very ambitious guy, what would good look like for you? Impressive stuff from Wes. If you want to get in touch with him follow him @WesleyHendriks on twitter, or connect with him on LinkedIn. 2:00 Maria is responsible for looking at the brand and selection part of the candidate journey and will shortly be heading into the busy season. As well as applications opening a few days after recording this, it’s also Maria’s birthday! If that wasn’t enough, the team is in the middle of pilots for video assessment to ensure that the process will be ready for 2,300 candidates in approximately a few weeks time! Busy busy! Maria gained a lot of life experience with her husband whilst on a 2-year career break volunteering and ended up running an Eco lodge during the middle of the rainy season where the electricity was turned off to the village every 5 years. When moving back to England to buy a house, they both felt it was a great opportunity to set up their life just how they want it. 6:40 Maria is extremely strategically orientated and goal driven in both her personal and work life. “I’m always thinking about the big game, and what my higher purpose is and what I’m trying to achieve. When thinking about the house, it doesn’t interest me – I don’t care whether I have a mortgage or not. I don’t relish security, I relish freedom.” What a fab quote, Maria. 9:00 Maria believes that the more honest you are at the workplace, and the more you speak your mind, the more people connect with you. You shouldn’t ever be afraid to be who you are at work – it’s where you can really be authentic. Great advice for any recruiter out there to bear in mind when speaking to candidates – looking at the bigger picture and understanding people’s motivations is critical. Great question and a great opinion from Maria. So where does Maria get her inspiration from? 17:00 What would Maria do differently if she had her time again? “I love these questions, they’re so much more interesting than the standard, tell me the best thing about your career question. 22:00 And what’s the thing you’re most proud of? Changing from that bolshie 24 year old to the person you are now….is that the thing that stands out for you, or is there something else? “Technically, I’m most proud about creating my team from nothing. When joining GT there were 30 people trying to do graduate recruitment as part of their wider HR role. I was asking questions such as do we even have one selection process and what does our brand look like? We had 2,500 applications in total for the UK and no one really knew who Grant Thornton was. Being honest, when I was working in the Big Four, I didn’t even know who Grant Thornton were. The shift was working with the Director to look at how our team functioned and behaved. Everyone in the team is now proud to work here and can really express and be their true self. Since coming back from maternity leave I’ve also shifted to look a the more human side of things. 25:00 How do you keep up with the way everybody is changing today and what challenges do you think graduate recruiters will face over the next 2-4 years? For us, this answer hits the nail on the head. It really is a great example of how recruiters should be thinking if they’re hoping to continue to have genuine conversations with the people they need to hire. It’s too easy to forget you’re dealing with people in recruitment, that there’s a person at the end of a CV or an email. Conversion ratio’s and candidate funnels get in the way of recruiters thinking that these are just people who just want to do a good job for you. 31:35 “We’ve been doing some work in our team around what’s the big plan here, what’s our game. And the game turned out to be that we don’t all have to agree on the same plan or game. One thing we did agree on however is that every single one of us is up to creating experiences. I told the team that even though you’re moving forward with the people you need, bare in mind that there’s hundreds of people falling by the wayside. Ask yourself, what their impression will be. What is our integrity around their experience? Really powerful stuff from Maria and what the future of recruitment could and should look like. 34:00 Any words of inspiration for graduate recruiters about to enter their busy season and live out of a suitcase for a month? What’s the thing you’d leave them with? Powerful stuff and a great inspiration. Thanks Maria! Helen’s background started out in Shift Operations which gave her a great foundation when moving into HR at a later point. It enabled Helen to understand the challenges and stresses and strains of managing up to 50 people at any one time and being in a moment to moment environment. Having worked for Unilever, Helen moved to work for Mars and worked in a variety of roles for 17 years, and ended up as Head of Talent in the Petcare and Food business. Ooredoo in case you haven’t heard of them are the biggest telephone and communications company in Qatar and are continuing to grow across the Middle East at a rapid rate. Uncovering the person behind the professional, Helen explains that when she was younger she used to dream of being a World famous 3-day event rider. Helen was teaching riding, competing and bringing on young horses – obviously having a huge passion for horses. However, realising that this was an unlikely goal, Helen turned her attentions to her other passion – developing people. There seem to be quite a lot of similarities between people who have a sporting background, and an ambition to achieve excellence, seem to have a high level of affinity with HR and the maximising performance arena. Looking at the role models that Helen aspires to there are figures in the World of Sport who she admires, the name Mark Todd, an Olympic medal winner, completed at one of the toughest competitions globally, with only one stirrup. The drive to succeed is something Helen feels is very special. From a business perspective, Mark Johnson, the previous director of UK Mars Pet care division is an aspirational figure. Someone who’s clear about their goals, is willing to take cross-correction and input, as well as a relentless drive to succeed and bring the Pet care division back into profit. Sounds like a great leader. We move the conversation on to discuss the need for employers to look at being more innovative as the market for talent becomes much tighter and more competitive, what hints and tips does Helen have for the viewers out there. Over the next 5 years, the talent market is going to change even more. The challenges employers and agencies face will change how we do things. We asked Helen to draw on her experience to predict what these changes might look like – will things change at the same pace they have done over the last 4 or 5 years., or will that change look entirely different? We asked Helen who’s doing great things in the L&D and talent arena that other people could aspire to – again, ratifying what Emma mentioned in an earlier episode – Mars stand out in terms of the clarity they have on people development, aligned to business strategy is second to none. What are Helen’s aims over the next year or so with Ooredoo? “Global comms and Marketing teams are bringing everyone into the Ooredoo train as we consolidate, therefore one of my goals is to align the talent processes to the Ooredoo framework, including brand and EVP, competencies and assessment processes, and how we deploy those in each of the individual marketplaces. Some wise words indeed from Helen. If you’d like to get in touch with Helen, you can do so on LinkedIn here. David is one of the most international, employer brand experts that we’ve ever met – so we’re very excited to sit down with someone who’s had such a wide-ranging career. David began his career in recruitment straight after graduating from university in Aberdeen. Shortly after he moved to London to begin working agency side. He then moved back up to Aberdeen to start a new office for the agency, before setting off to run his own consultancy for 8 years. David had offices in Houston in Texas and the UK, before going client side and moving to head up the Global Talent Strategy for one of his clients, TAQA – a major player in the Oil & Gas industry. David moves on to talk about the interesting economy in Aberdeen. It’s very different from the UK. “Generally the economy doesn’t go in sync with the rest of the economy, it’s dependent entirely on the price of oil. “ The only exception to this is the fact that the 2008 downturn really hit Aberdeen hard too. Moving on to talk of his move client-side to TAQA, it was the challenge of helping find sub-surface talent that really intrigued him. Subsurface in the Oil & Gas industry are the Geologists, the Physicists and the Risk 1 Engineers; all the people who find the oil…ironically…are the most difficult people to find of all. TAQA is a young company, and with such a huge growth agenda, the talent agenda really needed to be there to back that up and ensure they had all the resources as they expanded throughout the world. When it comes to the person behind the professional, David is very motivated by his family. He’s a new father and relatively new husband, and he has a lot to look forward too family wise. David started off life in the world of talent through a placement. He didn’t really have much more of an idea than that he was there to help find people for companies. He had no idea he was going to go into recruitment professionally – instead he fancied becoming an international banker. However, once he moved down to London (in hope of making a transition into finance) he realised he loved what he was doing. A salesman at heart, David loves being with people, so Recruitment was always something that was going to suit him down to a tee. When we asked David what his proudest achievement might be in his career he went on to explain, “One evening in Scotland, standing in Golden Square, one of the oldest squares in Aberdeen, and it was the location of his first proper office that had been refurbished top to bottom. The blinds had just been installed with the company logo on, and the lights had been installed, and I was stood in the square with my Mother. The lights went on, the blinds went down and this building, that was opposite my old office, was lit up.” That’s definitely something to be proud of. Resilience again is a key theme that’s coming through here, linking back to what Emma MIrrington said in Episode #2. Something that we’re finding out is key when it comes to working in the world of talent. David believes there’s no one thing that makes a talent acquisition function a success. “It’s about how these things work in partnership. Having the right teams and the right people, internal and external, all supporting your brand and your strategies – the hard part is pulling it all together.” “Consider your brand and the channels you use, and always make sure the investment is worthwhile.” When talking more on the ‘war for talent’, David believes that it doesn’t span every sector – only certain sectors need real investment. When asked what David felt were the main challenges to face recruiters in the next 5 years? “That depends. It will be different for different companies and industries, and that will all change if new tech comes on board. But for now, continuing to keep all of the plates spinning and giving importance to every channel of the journey.” Great advice. David also believes data is getting bigger and bigger, so the need for HR to work with IT is growing all the time. When we asked David who really stood out for him in terms of a great talent acquisition function? “You always tend to notice those within your own industry. For me BP stands out a lot. They have a strong brand and strong presence, using RPO where it’s needed only. What they do just make good sense to me. “ Outside of the industry, David believes there’s some interesting stuff happening in the Pharmaceuticals industry, in particular Roche have stood out for David. “They’ve spent the last few years developing their internal recruiting, steering clear from RPO and instead, choosing to build a layer of talent scouts. They’re a level above sourcers, who are building relationships with a global talent pool. It’s a really innovative approach, and stands out for me.” David also notes they’ve spent a lot of time developing a strong EVP and they’re using it very well. The next 12 months for David are somewhat of an adventure for him, having recently left TAQA. He’s a big optimist, and having a wife who’s from South Germany, the family is considering moving abroad to re-build the family base. David’s keen to get back out there and continue international work – but at the moment, he’s completely unsure of what awaits. Frankly, it’s a very exciting place to be and we wish him and the family the best of luck! 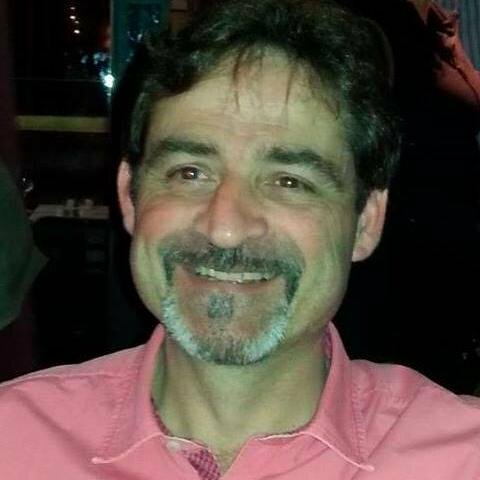 To get in touch with David, you can connect with him on LinkedIn here. For the 4th edition of TonicWith, we sit down with Pete Clarke, Sales Director of Reed Business Information (RBI). Many of you will know Peter as the organizer of the famous RAD awards, but Peter’s also responsible for developing RBI’s agency relationships and strategy across the RBI recruitment portfolio. For the past 5 years he’s been responsible for the sales, sponsorship and strategy of the RAD Awards: www.radawards.com which will be celebrating 25 years of the very best in recruitment marketing and communications this coming January. RBI provides business information, data and marketing solutions in multiple formats. They produce industry critical data services and lead generation tools, as well as online community and job sites. He’s father to an 8 year old lad who’s a budding football talent, and Arsenal fan (unfortunately) and also coaches and manages the under 9 team his son plays in. He’s a Bristol City fan by birth and a hard-core vegetarian who embraces change. Peter has a unique perspective on talent in that he works in the wonderful world of media. He believes that the industry has been through a tough time in the last few years but it’s great to see confidence growing once more and believes that the successful employers will be the ones who aren’t afraid to embrace that change and do things differently – quite rightly so, well said Pete! Peter’s worked at RBI for 13 years, part of the Elsevier group which is a FTSE 100 company and thinks it’s a great company to work for. Pete’s passionate about sales and RBI provides a fantastic network to help facilitate that. Starting his career working for Centaur Publishing, for Marketing Week, was his introduction into the world of recruitment. He remembers how expensive it was to place a full page colour ad and that fact you could get a new conservatory or kitchen for the equivalent price! He’d actually be nervous about quoting the price to the clients at the other end of the phone he was selling to – but he quickly adjusted. Peter believes that having clients who are friends makes his job a lot easier and a heck of a lot more enjoyable. Having worked for 2 organisations in 15 years he doesn’t have any real regrets, however there are a few niggling ‘what if’s’ that most people tend to have. If anything he wishes he’d have moved to London to begin working in the industry a little earlier than 1999. We move on to discuss how the industry has changed in the time he’s spent working in it. The most startling difference for him is the fact everything ‘back in the day’ used to be print and offline, and now nearly everything is digital. Looking back at the first RAD awards, which back then was called the BRAs (British Recruitment Advertising Awards), all of the work that was winning was quirky print ads. However, looking at the work today, it’s almost impossible to draw any comparisons – the way in which employers communicate with candidates today is worlds apart. A brand new category in this year’s RAD awards is testament to that. This category takes a look at how employers get candidates and various audiences engaging with their brand through innovative experiences, using techniques such as gamification. So if you’re reading this and you’ve been doing innovative things, on or off-line, check out the new category and enter some work! We will most certainly be doing so here at Tonic Towers. Pete believes in sharing and learning from others and that all employers should speak to other successful employers who have done things right and not fear taking advice and guidance from someone who’s experienced success. Also, speak to creative agencies (why thank you Pete!) who know their stuff about helping you stand out and build real engagement with active and passive candidates. In terms of the next 12 months for Peter his main focus will be on improving the RAD awards to provide a better experience for everyone who goes along year on year. A tough ask as we think he’s doing a fantastic job as it is. If you’d like to sponsor the RADs this year, please get in touch with Pete, you’ll find his details at the bottom of this page. Connect with Pete at LinkedIn below. For the third TonicWith we’re joined by Matt Alder, founder of MetaShift. Matt’s internationally regarded as a recruitment futurologist, a strategist and a mobile evangelist. We got to know him a little, dove into the changes that are affecting the way we engage with brands and we explore how employers and HR teams are coping when it comes to engaging with talent. Coming from a sales background, and having gained a drama degree at University, Matt started working agency side in 1999 before starting up his own business. Matt’s a keen cricketer and music fan and this tends to occupy whatever little free time a business owner has! This week we get technical, delving deep into mobile and social technology and explore some interesting topics with Matt – one of which being how wearable technology will have an impact on recruitment in the future. Matt works closely with employers to help them understand how their recruitment marketing is working and how well it fits with their overall talent objectives. New tech and new channels are a big focus, particularly mobile.. You can tell he’s incredibly passionate about these topics and sharing this knowledge with his clients and peers makes him a happy man. He goes on to explain that recruitment, for the most part, has a long way to go in terms of employers adopting a mobile strategy that’s robust and effective. However, it’s an extremely interesting time in recruitment where mobile is concerned. Matt deeply believes that recruiters MUST embrace mobile and that it’s not a fad. “I remember when I first started working with the Internet, people thought it was nothing more than a passing trend, a fad. The same with social media. Look at how ubiquitous there both are today.” We agree wholeheartedly with Matt that mobile is most definitely heading in the same direction. Ignore it at your peril! Matt gets to travel a lot for business and has been to some pretty interesting places and met some interesting faces. He recalls his time at Silicone Valley being somewhat of an eye opener – looking at some amazing companies such as Facebook, Dropbox and Foursquare for example, how they do their own recruitment and the tools and techniques that they use. Matt stresses that the technology is no better in the US compared to the UK, but there is such a big demand for talent with such an acute skills shortage, the recruiters over there tend to be incredibly innovative and make best use of all the channels they have available to them and use them in creative and engaging ways. A good example of this is some in-house technology developed specifically to allow the recruitment team to map the social networks and connections of their current software team. While sourcing for external talent to join this team they were able to spot connections in common with the current members of the software team, enabling them to make that personal connection and leverage this relationship and begin a conversation. Personal connections are an incredibly powerful tool in recruitment – and its something everyone can do. Matt goes on to explain that true social recruiting is about bringing personality through and connecting at an emotional level. This is something that many employers fail to realise, and they continue to use their twitter feed as a medium to spam their audience with a list of live vacancies. We’ve said before her at Tonic, to do social media and do it well you really need to take the media out of the equation. Platforms such as Facebook offer so much more to employers than just being another space to post your jobs. The ability they provide you to segment your audience and deliver content and tell stories in a way that’s compatible with mobile is extremely valuable and effective. However, employers still need to realise that any social campaign they begin to craft will most likely be viewed on a small screen on some sort of mobile device, on an ever-scrolling news feed and competing for attention with friends and family. “Job seekers use their mobile devices and social channels in the same way as we all do” – Matt urges recruiters to think about how the desired audience might relate with the content. How would you? “One of the main mistakes employers seem to make is not having a desired outcome. What’s the point of you spending all this time and resource on developing a social strategy if the content isn’t seen and doesn’t connect with the audience? Are you driving likes, or are you trying to build a conversation driven community?” There seems to be some different levels of understanding around the true ROI of social media. Is 10,000 likes on Facebook just a vanity metric? What use does that really give you? Or should you be concentrating on how your audience is engaging with your content – measured on a content by content basis? Is it being shared and commented on? Is the employer re-tweeting content and replying to comments? Is the employer being social themselves? How do click through’s measure to applications and how can you drive them through social? These are some key questions to ask yourself because is having 10,000 likes on FB or followers on Twitter really any good if no one engages with you or applies to work for you? Moving back onto mobiles and delving into wearable technology, Matt believes that there are some exciting possibilities that await the recruitment world. The amount of data that’s gathered about a user gives infinite possibility to provide targeted, personalised messages to take people on a journey and engage them with your brand. Take for a example, Google Now, which provides up to date relevant information that’s based on all the data stored on your phone. “None of us are staying still any more – times have changed massively and whoever can figure out how to deliver their message, to any and all devices we use, in a way that reflects the communities we take part, that’s personalised and quick will be the most successful.” Matt believes that it’s dangerous to second guess people – and it’s a mistake many recruiters tend to make, assuming people will never want to apply for a job on their mobile device – it’s simply not true. @MattAlder or visit his website Metashift.co.uk. Emma believes the world of talent, just like Tough Mudder, is extremely challenging. It’s at its optimum point when talent management and talent attraction work together in harmony. Unfortunately Emma believes that this doesn’t happen naturally, it takes a little work. Sometimes the two teams can be very distant from one another and can work in silos. This level of separation exists, Emma believes, due to the fact that talent management is a much younger function. Traditionally, people have relied on recruiters to focus on external roles; so internal recruiting is something new to many people. Some good advice from Emma is to start off by looking at your own internal talent structures before considering what your talent management model might be. When it comes to starting off in the world of recruitment Emma advises anyone to get as much breadth and experience as possible and ask questions – we discussed the benefits of curiosity with Kirstie last week. Challenging yourself is key, whether you’re in-house or agency side or whether you focus on graduates or experienced hires. Experience is extremely valuable and will help shape you into a better professional. Don’t worry about being pigeon-holed into specific roles – breadth is key, whether it’s RPO, agency or In-house. When discussing the big challenge for recruiters at the moment, Emma moves on to explain why there’s a real need for recruiters to become far more innovative. Drawing on experience and behaviour from leading organisations such as Amazon or Sky and observing how they engage with their customers, trying to be first, always on the front foot. These brands can be a great source of inspiration for all recruiters looking to build deeper relationships with people. Emma goes on to talk about having the opportunity while working as Head of Talent at Mars to draw on some of the clever marketing used in the consumer space to commission work that made use of Aurasma, an augmented reality app that adds a layer of digital content to traditional printed materials. You can see the work Emma was talking about here (you’ll need to download the free Aurasma app and follow Mars Inc. before holding it over the image to bring it to life – you can also do the same with a £10 note, or the Tottenham Hotspurs kit if you’re unlucky enough to have one lying round the house). “We all spend so much time at work, being a recruiter has such a huge impact on peoples lives – the feel good factor putting someone who’s just been made redundant, or a grad who’s worked hard for 4 years into a role, and watching them thrive and develop is a great feeling and something all recruiters should have.” Emma goes on to explain that exactly the same principal applies to setting up the FIRM – allowing her to continue her passion and enable and help people, but in a different way. Emma draws inspiration from her parents, having watched them set up their own businesses and become very successful and achieve a lot. Strong powerful women, such as Fiona Dawson, president at Mars, is also another real source of inspiration and motivation for Emma. Entrepreneurship, independence and the chance for Emma to beat her own drum, as opposed to dance to the beat of someone else’s, is the real driving force behind trying to grow the FIRM. Organic growth through referrals and word of mouth have been key to success. The idea behind The FIRM is that it’s all centred around the members and built on the 3 key pillars of develop, support and inspire. Regardless of whether it’s an event, conference or development programme, they always centre around one of those three pillars. Recently, The FIRM held the first ever recruitment festival in the New Forrest called, Recruitstock. Having attended ourselves we can vouch for the fact that it was an amazing few days. Putting people in a situation they’re not used to, with people they wouldn’t usually interact with really meant we all came away with a fresh perspective for both personal and professional lives. If you’d like to know more about Recruitstock, you can find more information here. When asked the tricky question of what Emma’s biggest mistake was in terms of her career, she went on to explain a memorable incident from her time at Mars. Emma had developed a resourcing strategy that was exciting and had been implemented by the business. However, Emma had failed to take into account how engaged the resourcing team were in the vision that was set – after all they’d be critical to helping deliver on this model. Over the next 5 years, Emma believes the biggest challenge for anyone in talent is differentiation. “In a more compact and congested world, we’re seeing smaller entrepreneurial businesses coming into the fore, who have double digit growth and provide interesting and exciting opportunities for candidates to rival the bigger more well established brands.” How can we stand out and make our messages heard? Budgets are being cut all the time, so how can we do our jobs better when all of this is happening? Some great food for thought there. When asked who’s doing a great job in terms of talent attraction and sourcing, Pepsico and Mars stand out in the front of Emma’s mind. “To achieve the same success it’s important to understand the internal landscape in terms of how the business manages and attracts talent so that you can then hold the mirror up to the business and begin to benchmark against competitors and identify critical areas to work on.”Emma also believes that looking at maturity models (Omni and Deloitte both have excellent maturity matrices) is incredibly helpful as it allows you to get a real sense of how healthy your recruitment function is. When asked what the next 12 months hold for Emma, she explained that building the FIRM and taking the support, development and inspiration of the members to the next level is a big priority. The FIRM will be looking at creating their own platform outside of LinkedIn to support members, and Recruitstock will be back in 2015, bigger and better. For anyone based in Scotland, the FIRM travels north for the very first time, check their website or get in touch with Emma for details as to when and where (you’ll find her details below). Kirstie runs a business called LaunchPad Recruits, which provides a video interviewing service to recruiters. Kirsties’s background is in hospitality and it has taught her that standards of service are incredibly important and this is something that has never left her. Kirstie believes that the levels of service in recruitment are incredibly important, and often overlooked. A brand marketer at heart, Kirstie is also a keen cyclist having just completed a ride across Cuba to raise money for women vs. cancer while also having recently trekked across Nepal. She’s also apparently a very keen dressage rider in her spare time too! What really motivates Kirstie is a very strong sense of what’s right and what’s wrong – being genuine, clear, fair and communicating well makes all the difference, especially when it comes to helping someone start a new career path. Kirstie started out life as a trainer, training customer support and sales teams before venturing into the world of talent. For Kirstie, one of her major frustrations is seeing a business and knowing that you can make a positive difference but not being able to take them on that journey with you, simply through lack of trust, belief or understanding. On the flipside, Kirstie believes her most impactful moments have been when she’s been allowed to be creative. When it comes to the future of recruitment, Kirstie feels that recruiters shouldn’t ever take their eye of the future of the industry and the possibility of what could be. Recruitment isn’t a finite action – it’s about engaging people, making them successful and making sure their relationship with the business is successful, from both sides. The issue today is the sudden expectation for recruiters to become much more – to become marketers and data analyst. The climate we’re in, the shortage of talent, means that the recruiters who realise this change and embrace it, and those who equip themselves and learn new skills now, will be the ones who succeed in the future. On hiring metrics, Kirstie believes success needs to be about more than just efficiency, but focused more on the bottom line – customer satisfaction. Every business is different, so there’s no point in crunching data just for the sake of it. There’s no point in presenting back hundreds of numbers and figures and pieces of data if your shareholders, MD or CEO is interested in something completely different. Quite often the most senior person within a business, who are generally entrepreneurs, are very clear sighted – all they know is that they need great people with great talents who are able to deliver a profit for the business. So keep it simple, and don’t lose sight of the bottom line. Take responsibility for building your own portfolio of experiences. Talk to everybody you can, listen to people who’ve got it right and also those who’ve got it wrong and form your own opinions. You don’t just have to go to university to learn this stuff! Also be curious about everything that you’re doing. Why are you doing this, what are the results and what impact will that have on everything around me – colleagues, candidates and the business. Moving on to Kirstie’s immediate focus, she believes the here and now sees talent and job seekers having a very different view of a career – more of a portfolio approach than a desire to have a long-term option. People are far less concerned about taking a short term contracts, project and interim work. In fact they enjoy it, and Kirstie believes recruiters therefore need to think differently. The premise of outcome based hiring is a very different one and soon to be gone are the days that we’ll be hiring for a specific role – it will be more about the objective and the project outcome. If recruiters can start thinking about that now and think pro-actively then they’ll begin to meet people that will be very successful for their business. Recruitment needs to become more flexible and more forward thinking – retail is a great example of how the ability to foresee the talent requirements pays dividends. The bad news is that Kirstie believes it’s going to get much tougher for recruiters to engage with people. Job seekers mass apply for dozens of roles at a time but most people de-select themselves from the process very quickly based on the behaviour of that brand. If recruiters can start to unpick their own behaviour and look at the way they search for the evidence that they seek, then they can become more mindful of how the come across to the candidate– stand in someone else’s shoes before making a decision. Also making information as uncomplicated and non-technical as possible for the candidates makes it easy to interact with and easy to digest. In terms of brands that stand out for Kirstie, those who are really attracting talent in the right way, there are two brands that come to mind . Zappos, who apply such a fine level of detail to every stage of the candidate and employee journey in a fast growth company, mean that they had a hugely engaged workforce of extremely dynamic people. All attraction methods were being switched off as they had thousands of applications from the right people apply to them every day so there was no need at all – it all felt extremely honest and genuine but also valuable and beneficial. You can visit their site here. Kirstie also feels that the Microsoft grad team are a very smart bunch of people. The team has re-invented their whole approach, taking away some of the barriers of entry for people to apply to the business, such as qualifications. The business has an interesting challenge as the brand is governed by the states and their marketing message is quite corporate and often dry – yet they ask grads to jump through hoops in terms of what they want them to do and even where they live. They’ve been one of the first to really embed strengths based interviewing into their process using CAP, and then use video screening to assess that output from strength based interviewing. As a result they’ve managed to shift the gender bias that tends to happen in that environment, driven engagement, but the best part is they’ve kept the whole thing human – they want to put on a show in front of people and maintain that high level of person-to-person interaction. In the next 12 months Kirstie will be looking to qualify for the regional dressage champions, but yet another string to Kristie’s bow is she is a trained pshyo-theraputic counsellor and hypnotherapist, and she’s keen to increase the impact she has in that space. Talk about multi-talented! For Launchpad, Kirstie is also keen to see the business grow and do more work with more amazing clients. You can contact Kirstie and the team at LaunchPad at http://launchpadrecruits.com/contact-us/ oe find her on Linkedin here.